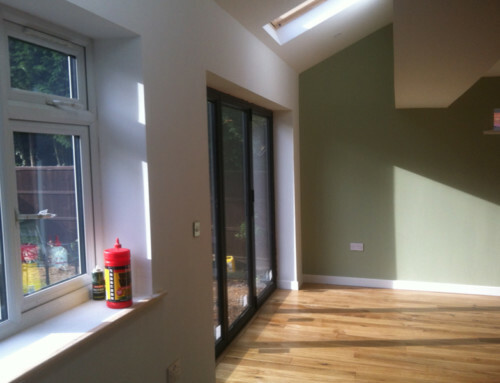 The Clients wanted to create an open plan garden room by having a home extension with a green roof in West Bridgford Nottingham. 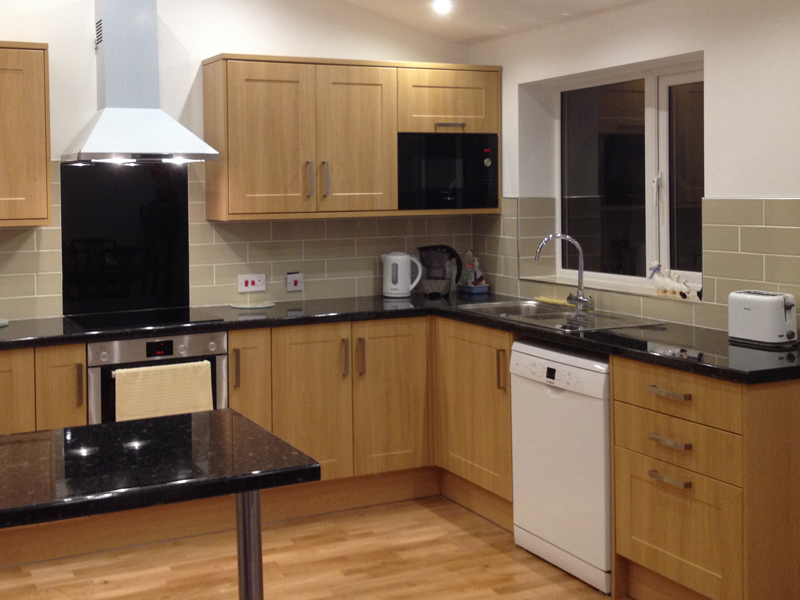 The room needed to link the kitchen, loung and new room in a flowing effect. They wanted a modern look to blend with their home. 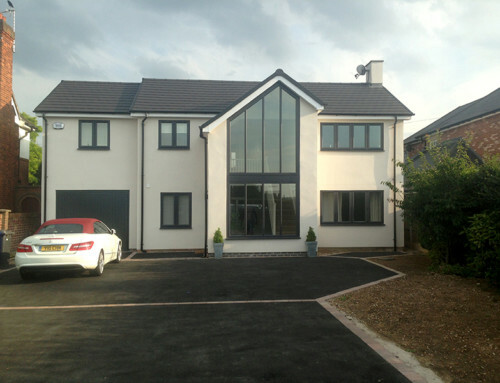 Architects: designed a rear extension to the full width of the property. 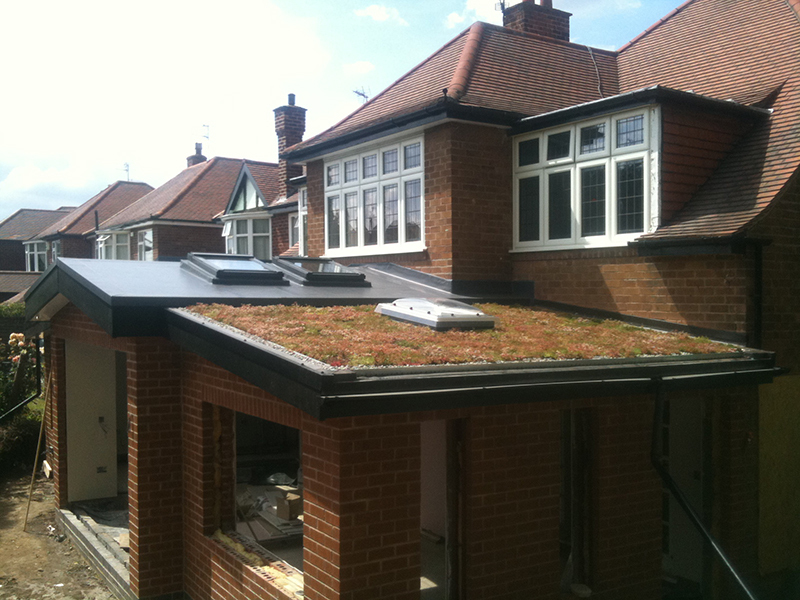 A grass sedum roof design and a single ply roof centre. 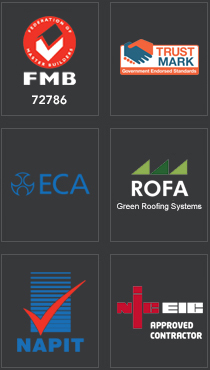 Structural calculations determined the sizes of ridge beams x 3 and steel columns. 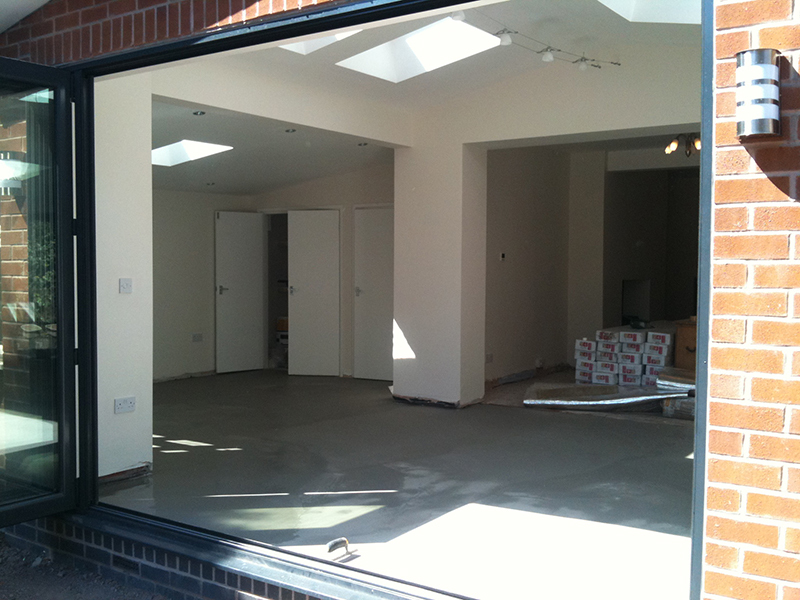 Engineering pillars built to form strength of the new roof. 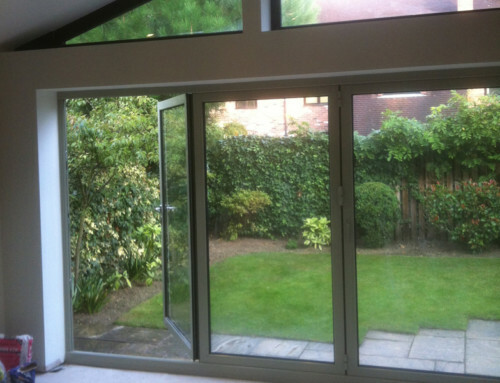 Steel openings were formed to the rear of the kitchen and the rear of the lounge. 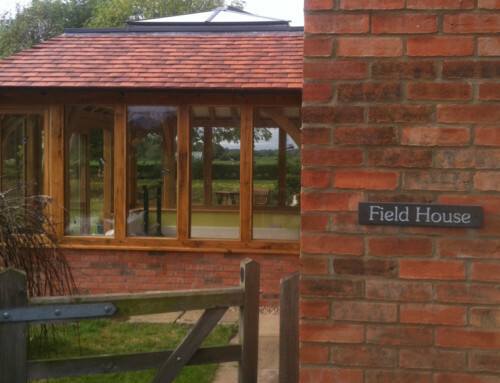 The extension built had a side window, side door, to the rear, windows and central bi-folds. 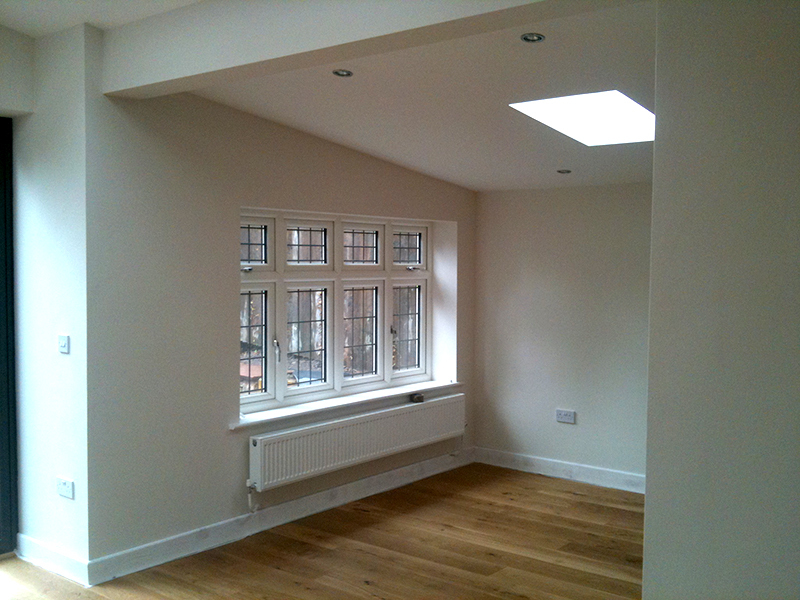 The roof had a lower detail and higher level. 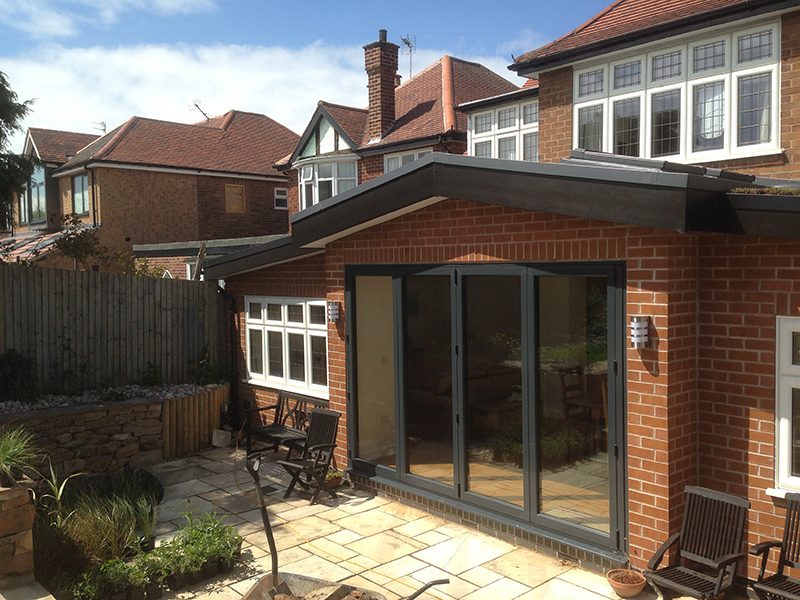 Both were flat roof section details. 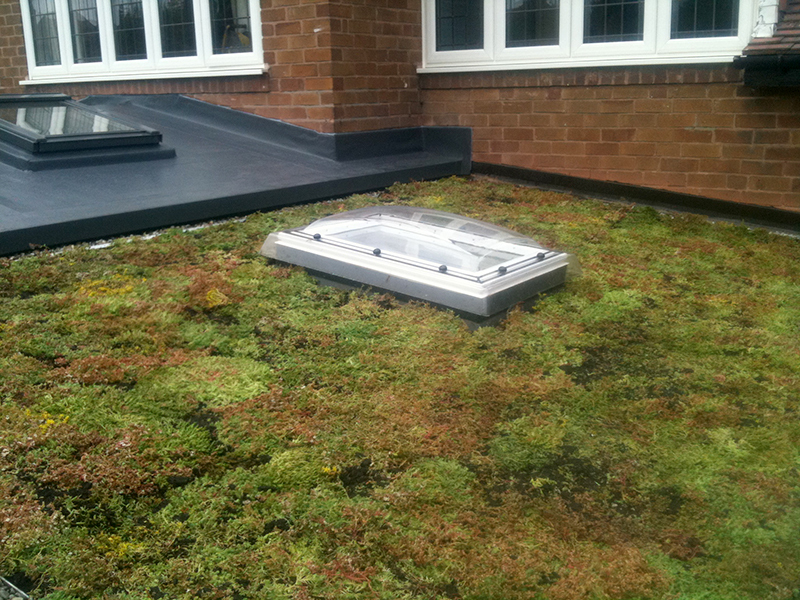 2 x sedum roof on lower pitch, sarna-fill to apex. 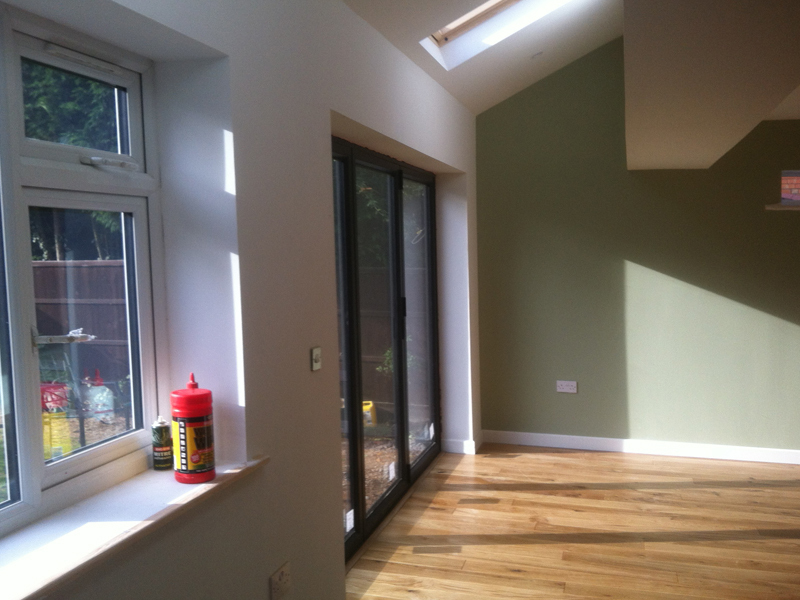 Under floor heating and a engineered timber floor went all the way through the ground floor. 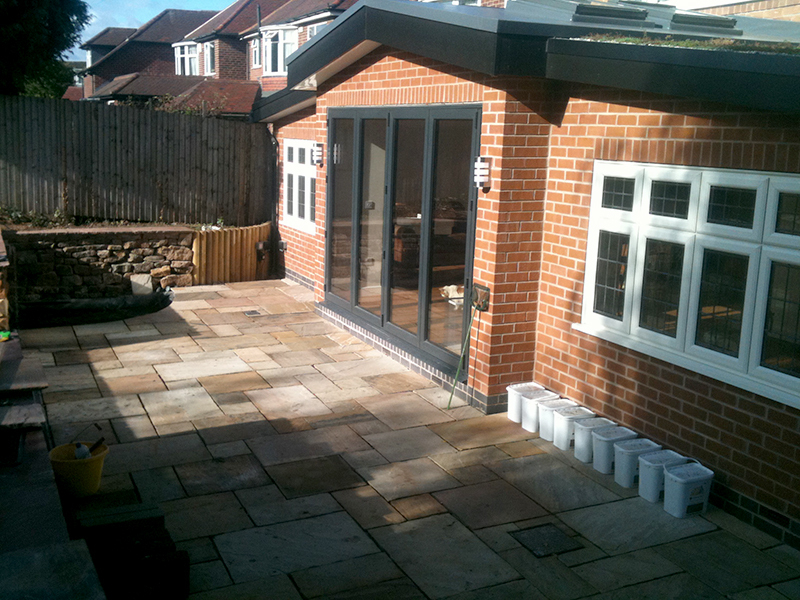 Banks of ground was removed to form the extension and patio. 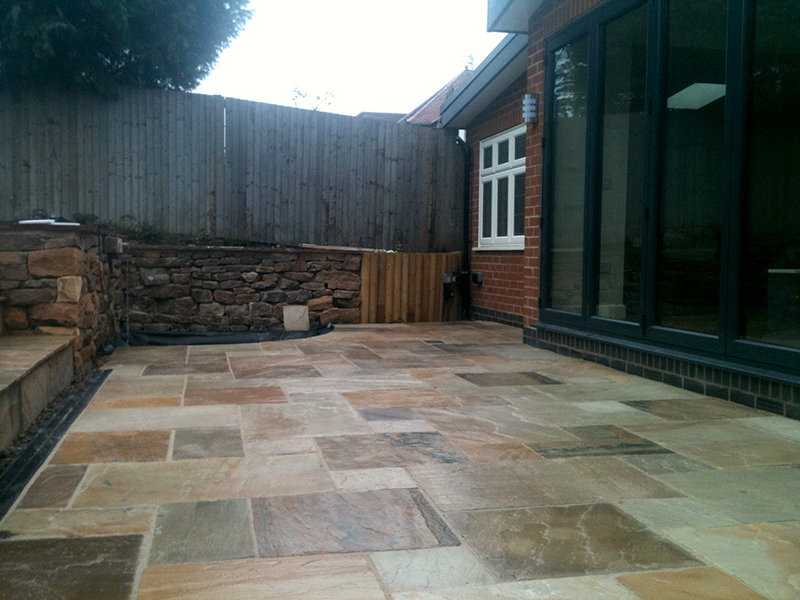 A rear patio was laid, pond built and rear retaining wall built in blockwork. 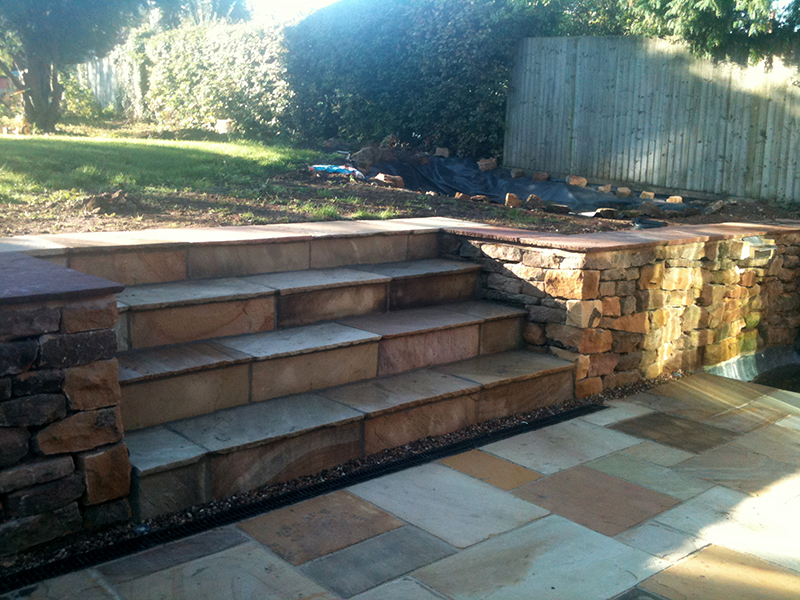 The clients wanted to recycle old sandstone which was used as decorative for the retaining wall. The pond and water-feature was lined and mood lighting gave a peaceful feel.